Start the New Year off right with a top-notch happy hour. 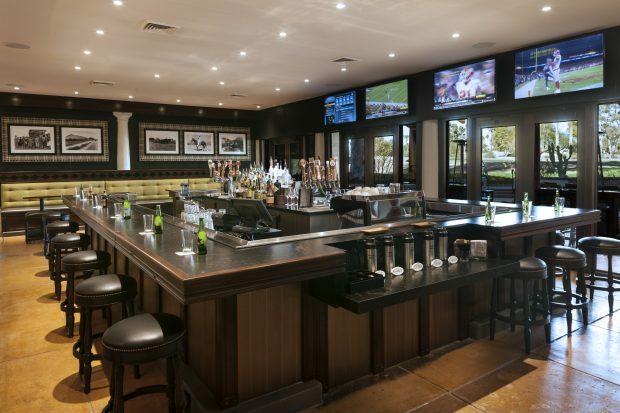 Bar Six40 at The Scottsdale Resort at McCormick Ranch hits every high note with a can’t-beat selection of $4 draft beer, $6 wine and appetizers, and $8 cocktails, from 4 p.m. to 6:30 p.m. every day. Whether you’re looking for the perfect place to relax after a long day at work, catch up with friends or simply enjoy some top shelf fare and libations, Bar Six40 accommodates every taste and occasion with a mix of inviting lounge and cocktail seating equipped with Wi-Fi connectivity. Local brews, like Four Peaks Kiltlifter Scottish Ale, San Tan Hefeweizen and Grand Canyon American Pilsner, star on the list of beers on tap. If a mixed drink is your order, try a cocktail like the Prickly Pear Refresher with Herradura Tequila, Pama and prickly pear, or the PHX Honey Martini with AZ Distillery Desert Gin, lemon juice and honey. Savor a delectable appetizer or two, like the Mole Meatballs with cilantro carrot slaw; Farmer’s Cheese, Hams & Jams served with roasted fruit and beet halves; or the Alaskan Smoked Salmon Spread with fresh herbs and sourdough crostini.